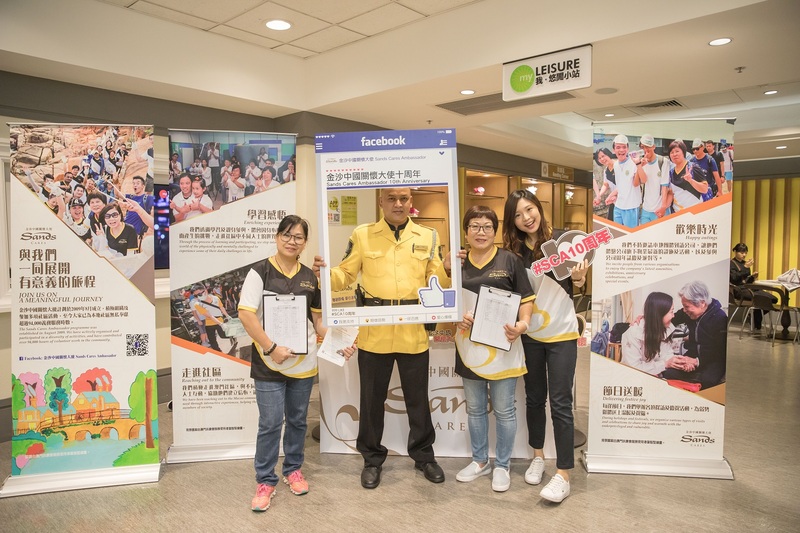 (Macao, Sept. 26, 2018) – The Sands Cares Ambassador programme added 1,700 new volunteers to its ranks, after hosting several back-of-house recruitment roadshows Sept. 4-7 at Sands® Macao, The Venetian® Macao, Sands® Cotai Central and The Parisian Macao. The total number of Ambassadors in the programme now stands at more than 3,300. The recruitment drive kicks off a series of upcoming activities celebrating the Sands Cares Ambassador Programme 10th Anniversary – Spreading Love and Embracing Our Community. Sands China is using the occasion to raise the profile of the volunteer programme, as a way to promote team member engagement in corporate social responsibility efforts. 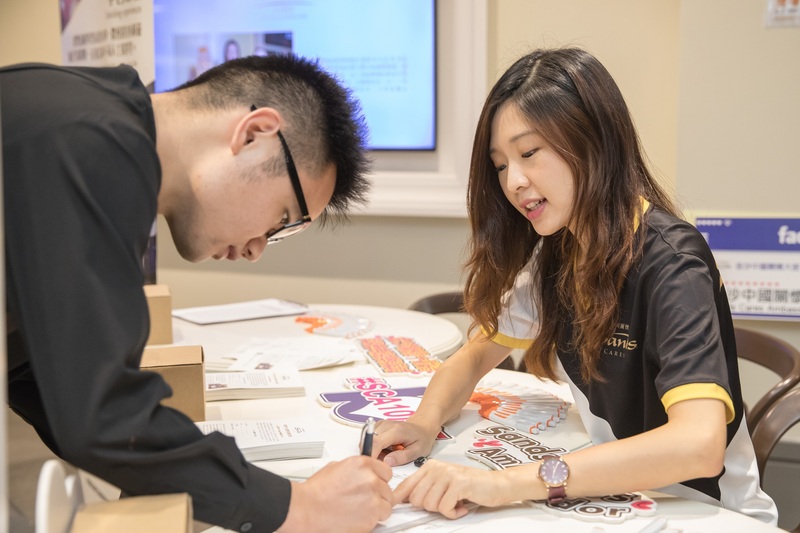 he recruitment roadshow’s promotional items, including posters and an exhibition wall, were designed with Fuhong Society of Macau, a frequent collaborator in Sands Cares Ambassador initiatives. The Sands Cares Ambassador programme was established in August 2009 to give Sands China team members an outlet for serving the local community by organising community activities and initiatives that work toward creating a better Macao. With membership comprising volunteers from across all Sands China properties – Sands Macao, The Venetian Macao, The Plaza® Macao, Sands Cotai Central and The Parisian Macao – the Sands Cares Ambassadors have contributed 94,000 hours of voluntary community service since the programme’s founding. Through years of engaging society’s most vulnerable, Sands China has initiated or supported a wide range of community outreach events. Through a variety of activity formats, memorable and moving experiences are created for the volunteers and the beneficiaries. Efforts include reaching out to communities through events like friendly competitions and creating arts and crafts with people with intellectual disabilities; acquiring enriching experiences like learning sign language and experiencing a silence workshop; delivering festive joy in visits to live-alone elderly during Chinese New Year; and enjoying happy outings that bring underprivileged families to various exhibitions at The Venetian Macao. Sands China Ltd. considers the Sands Cares Ambassador programme as central to its commitment toward community outreach and service. Last August, the company pledged to donate a total of MOP 65 million for typhoon disaster relief in Macao – MOP 30 million from Sands China Ltd., plus an additional MOP 35 million from the Adelson Family Foundation. Approximately MOP 15 million of that has been allocated to the University of Saint Joseph to assist in repairing its storm-damaged campus. Another MOP 2 million helped repair Macau Holy House of Mercy’s elderly home, which had suffered extensive damage, including major structural damage to its roof. 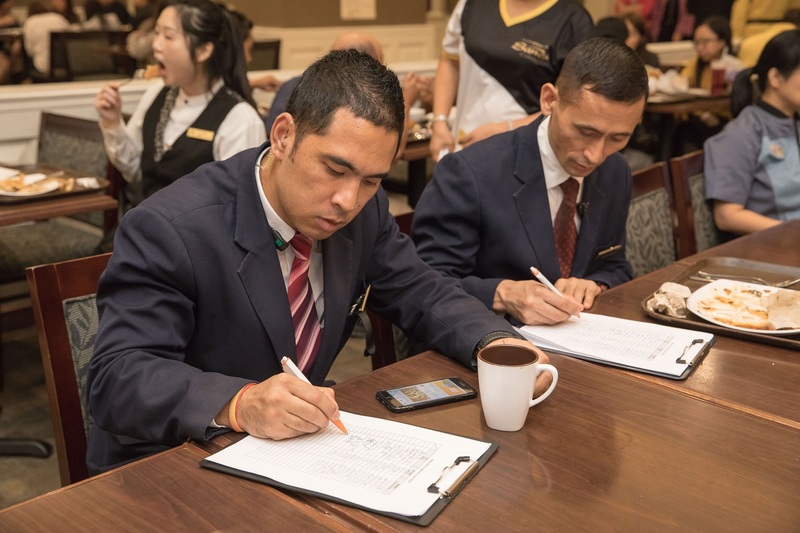 The company’s community work is part of Sands Cares, the global corporate citizenship programme of parent company Las Vegas Sands Corp.
Photo caption: Sands China team members sign up to become volunteers in the Sands Cares Ambassador programme during several back-of-house recruitment roadshows Sept. 4-7 at Sands Macao, The Venetian Macao, Sands Cotai Central and The Parisian Macao. The roadshows – which kicked off celebrations for the programme’s 10th anniversary – attracted 1,700 new volunteers, bringing the total number of volunteers in the programme to more than 3,300. 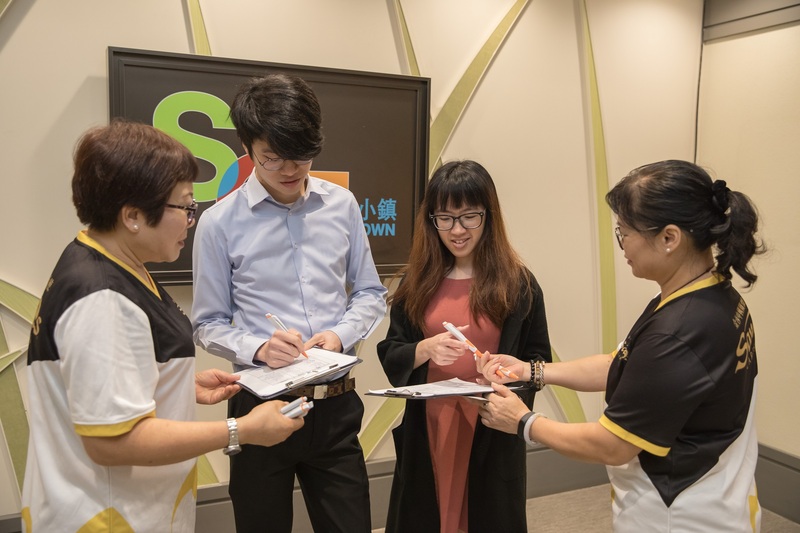 Key areas of Sands Cares in Macao include the Sands Cares Ambassador programme for volunteering in the local community; charitable contributions to NGOs and community organisations; and sponsorship of community events.